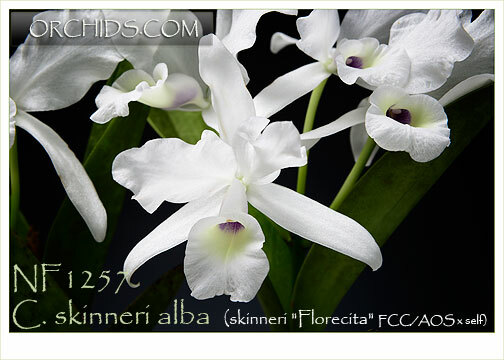 A rare and limited opportunity to obtain the striking true alba form of this species ! The clone, ‘Florita’ FCC/AOS, has been selfed to produce a compact and free bloomer bearing up to nine 9cm. flowers per inflorescence. 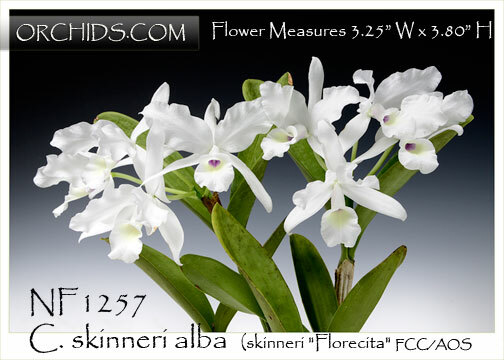 The awards description for ‘Florita’ noted that it was a true alba with no indication of any color within the plant or its flowers, and its upright inflorescence produced thick flowers with a glistening texture and no spot in the throat. 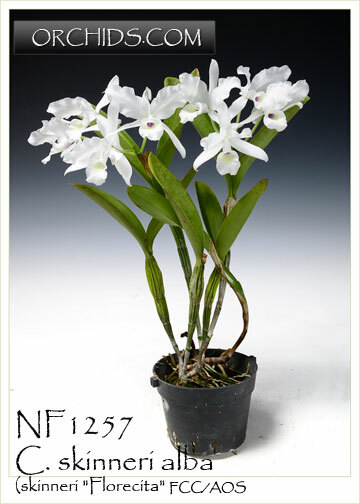 A must for any serious species or Cattleya collection. Limited and Very Highly Recommended !